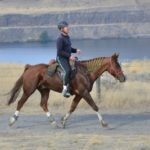 The mission of the Equine Distance Riding Association is to promote, at all levels and to all members, safe, competitive equine distance riding events and experiences. EDRA boundaries include the continental US and Canada. Lifetime miles of equine and rider will be compiled for EDRA sanctioned events within these boundaries. 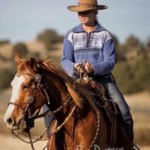 Central to EDRA’s mission is a robust mentoring program that supports the development of equines, riders and ride managers to their maximum capabilities while protecting horse and rider. Fun, friendly, and fair competition in a learning environment is our goal. See the rules, point system, horse welfare, conflict resolution, and more. See the EDRA by-laws for things like organization structure guidelines.